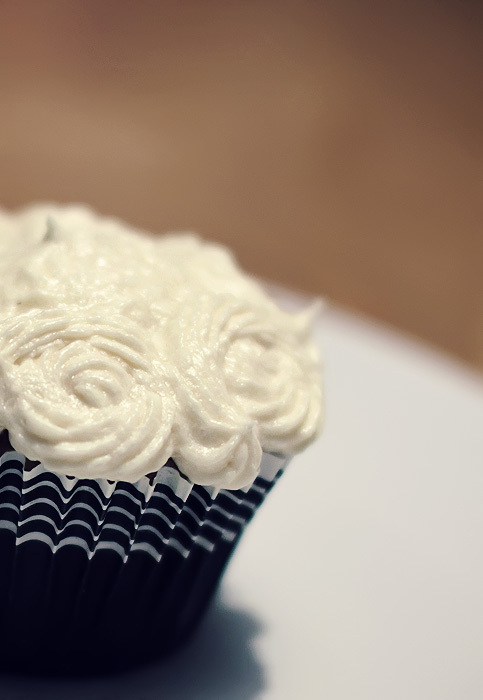 A Makeup & Beauty Blog – Lipglossiping » Blog Archive Earl Grey Tea Cupcakes! It’s lighter with a whipped texture and very yummy! I think your cupcakes look really good! I’ve had the same problem with the Hummingbird Bakery buttercream – I usually keep the ingredient amounts the same for the cakes themselves but halve the quantity of frosting. I find this to be the perfect ratio of cake to frosting. The swirls look adorable, I didn’t even notice they weren’t the way they were supposed to be until you said so! They look kind of like little tutus to me, that could work for a ballerina theme, if you made some kind of little girl torsos in ballet poses and stuck them on top, maybe? When I made them, I thought the Earl Grey flavour was a bit too subtle, so I would definitely use more tea for infusing next time. It might be because I used decaffeinated EG though. I agree the frosting makes too much! 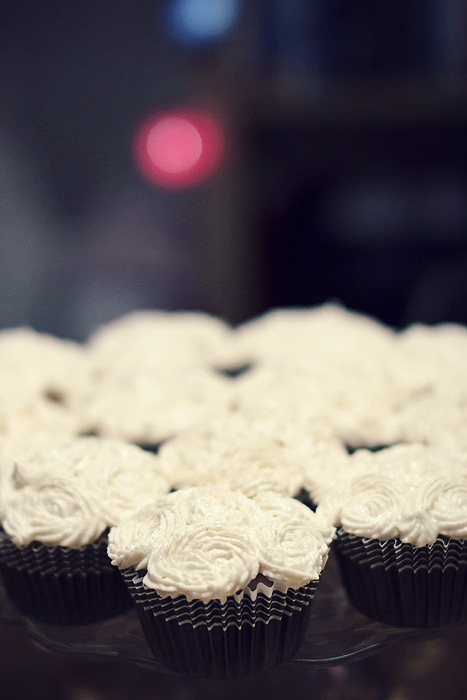 As soon as I read ballerina cupcakes I thought of using the frill nozzle.. So maybe something with that? oh my god, that first one is perfection! I need to find little toppers that look like leotards!! Wow! 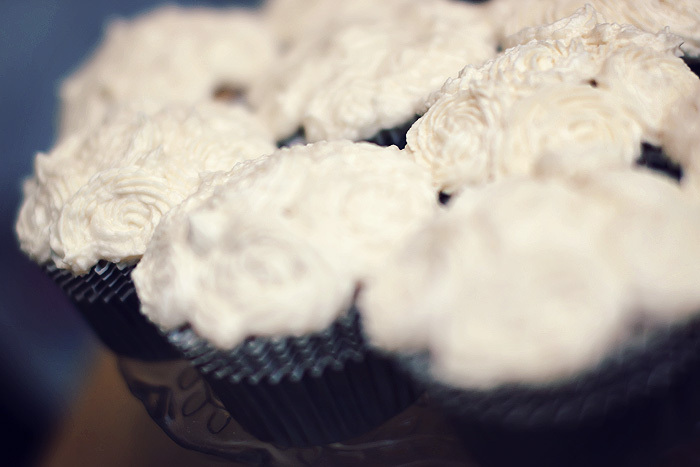 Those look absolutely heavenly, I would have really struggled to let those leave! 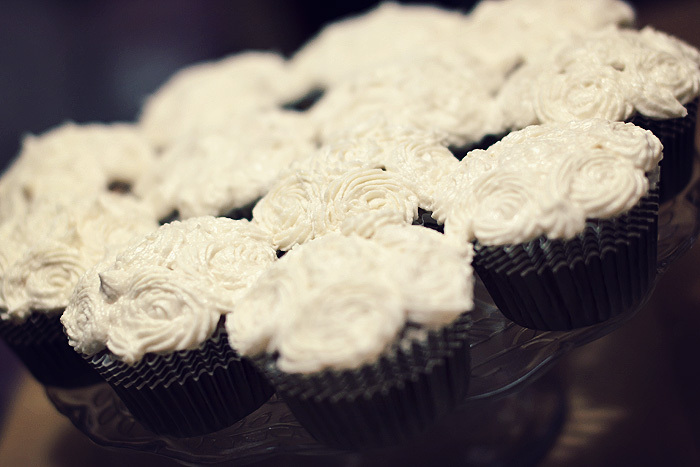 I had a plan to lose some weight; going to postpone till I try these cupcakes.